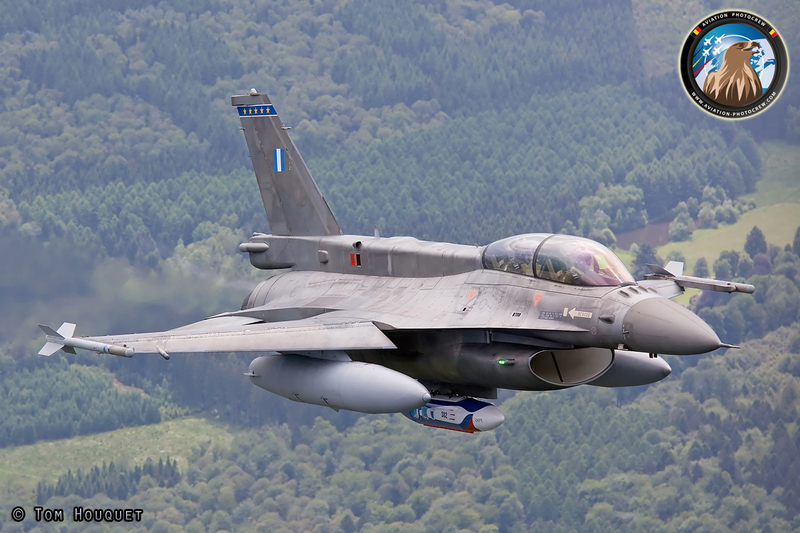 The Hellenic Air Force is one of the biggest F-16 operators in Europe, included in its inventory a range of F16C/D block 30, 50, and 52 aircraft. 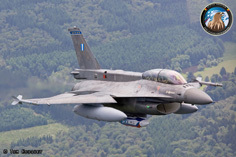 In total 170 F-16s were delivered with the main task being the guardian of the airspace over Greece. 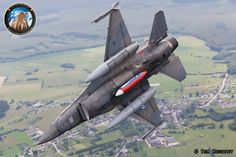 Since 2010 a dedicated F-16 Solo Display Team was created to demonstrate HAF's airpower to the public and acts as ambassador for Greece, demonstrating the professionalism and the skills of all pilots in the Hellenic Air Force. 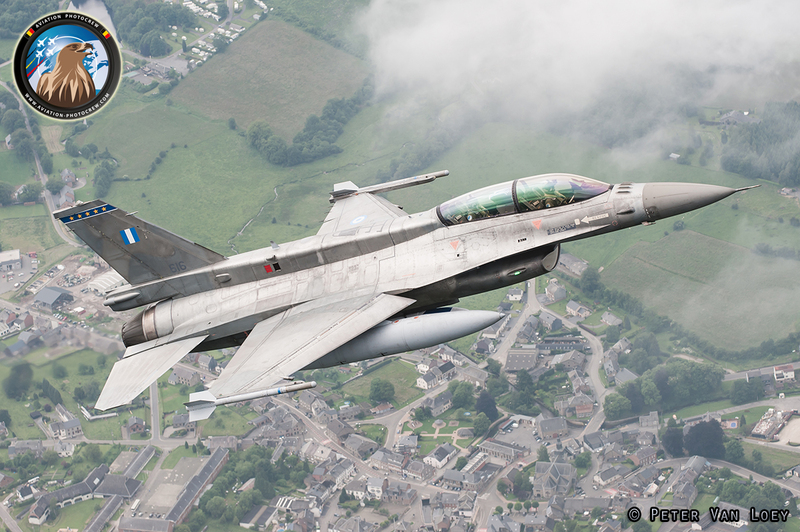 During their 3rd season, Florennes Airshow in Belgium was honored with a visit by team, which was greatly welcomed by the attended visitors. 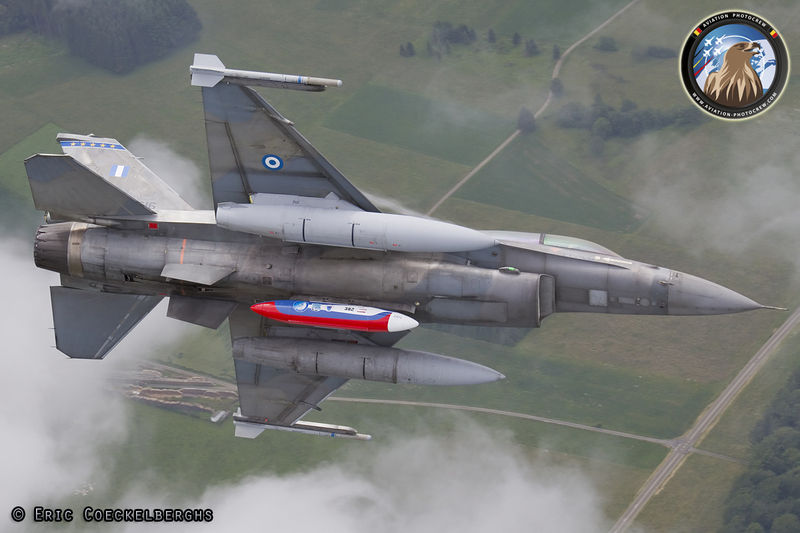 Team's callsign during the Demo Flights is "Zeus", representing the father of the Olympian Gods of the Ancient Greek Mythology. 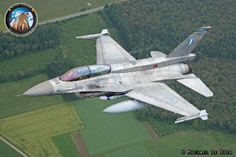 The team comprises personnel from the 340 and 343 Squadrons, both of which are based at Souda Air Base and consists of two display pilots, two safety observers, two narrator, two camera man and three crew chiefs. 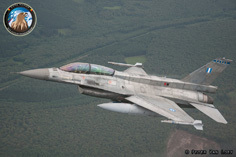 The Hellenic F-16 Demo Team executes a coordinated ground show between the Demo Pilot and the Ground Crew, demonstrating the professionalism and dedication of the men and women who maintain HAF resources. The International Florennes Airshow 2012 was one of the rare occasions to see the HAF F-16 team outside Greece, being one of the top starts of the show. Display Pilots Captain Emmanuel Karahalios and Captain Georgios Androulakis made the long flight to Belgium representing the Hellenic Air Force to the large crowd visiting the Airshow. 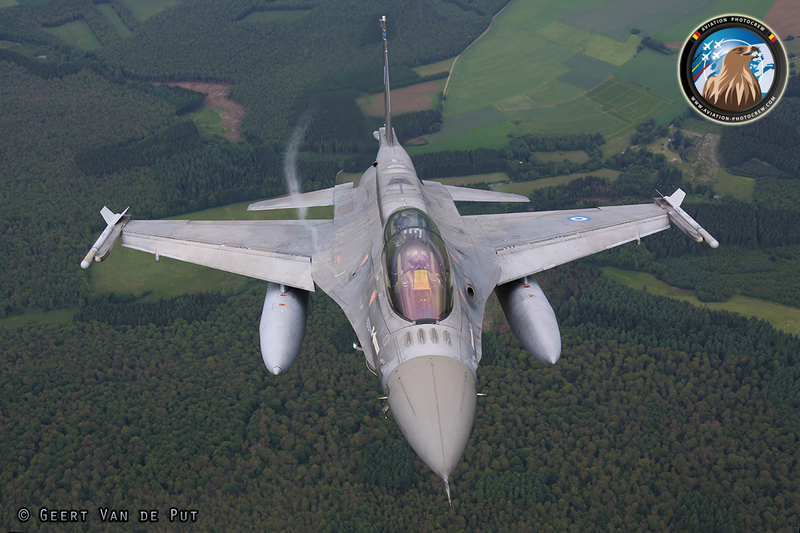 It was a great honor to be able to perform an Air-to-Air photoshoot with the display crew while on their way to the Florennes show. 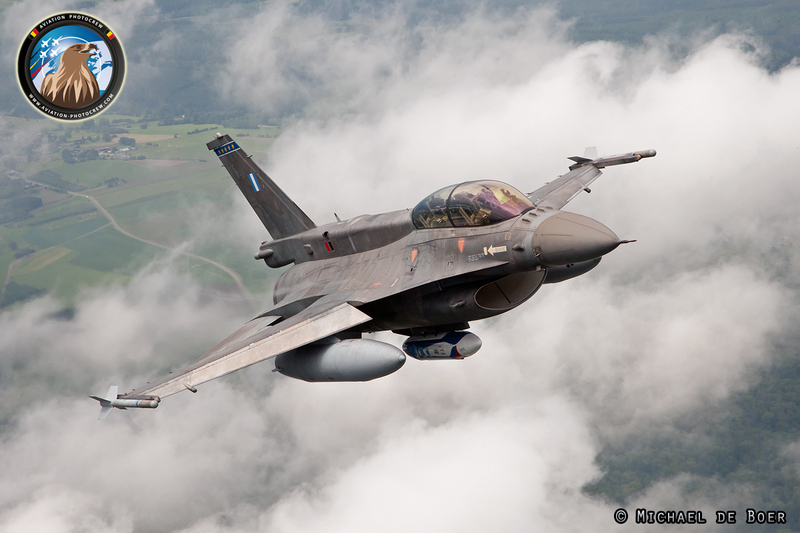 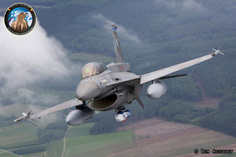 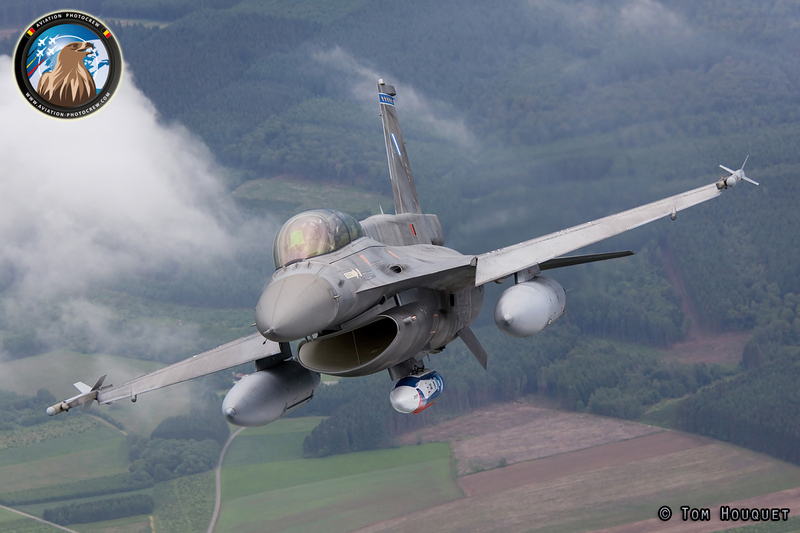 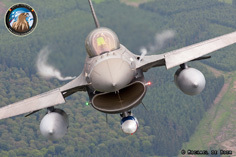 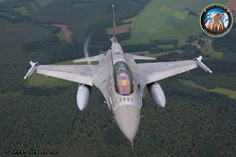 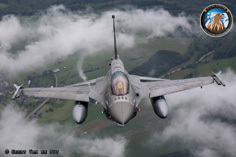 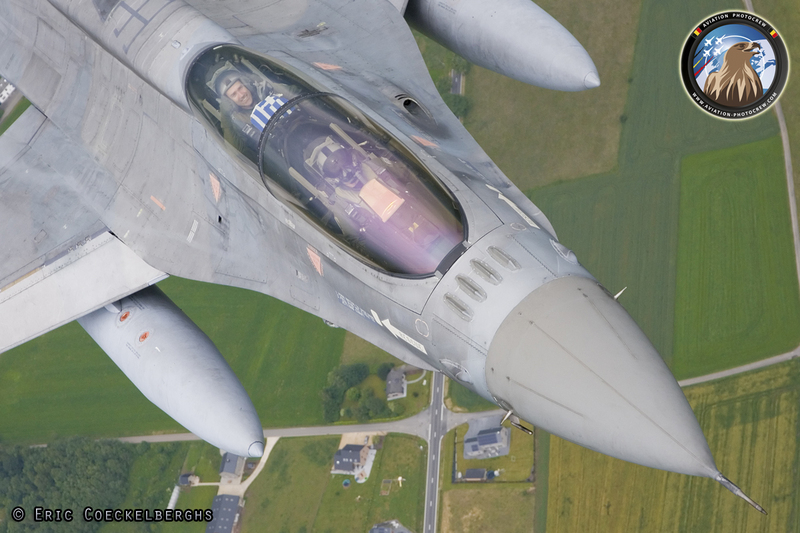 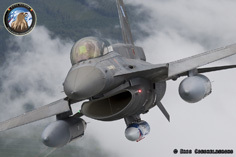 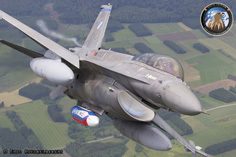 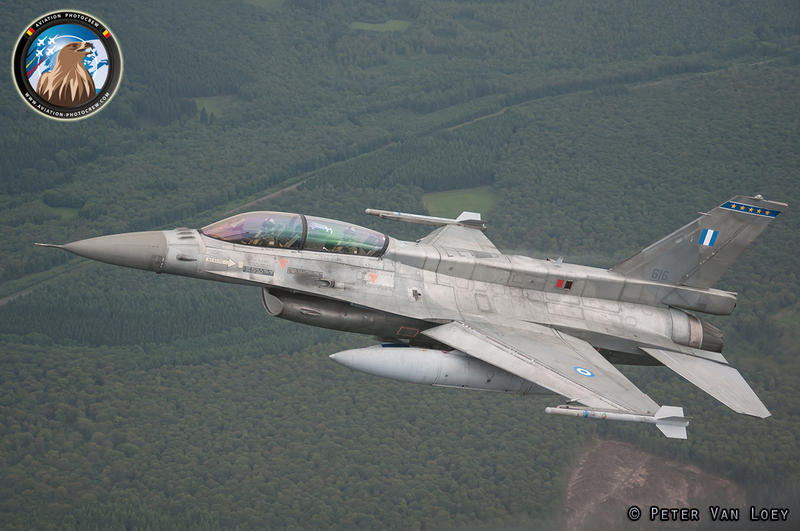 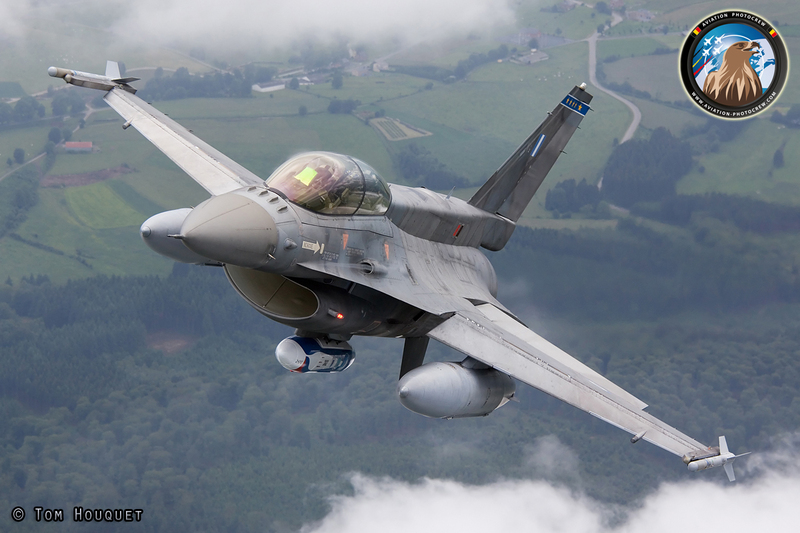 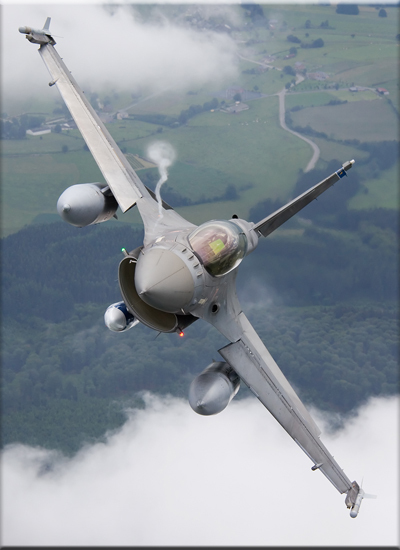 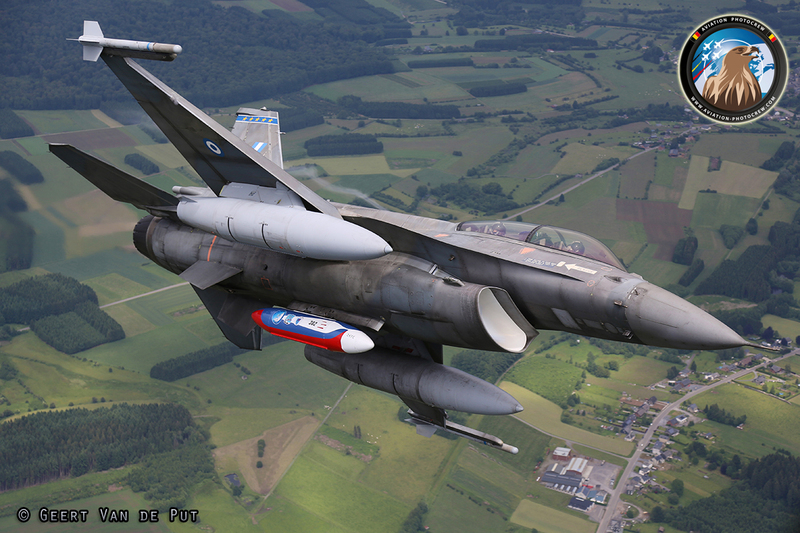 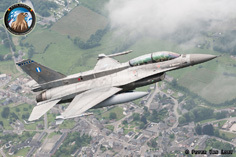 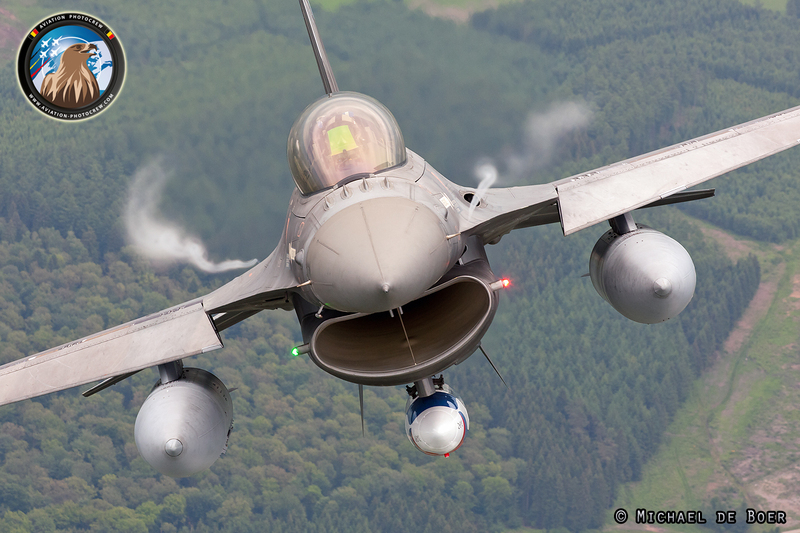 For the occasion, a two-seat F-16D was chosen to fly to the Florennes airshow, equipped with a specially decorated travel pod under the fuselage. 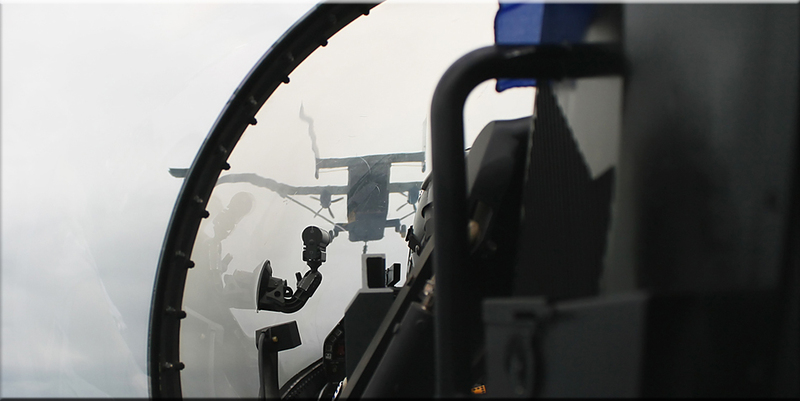 After a fuelstop in Aviano, Italy, the crew flew to the dedicated airspace where the join-up with the Skyvan photoship was planned. The professionalism of the pilots was really demonstrated as they flew a perfect photomission as briefed. 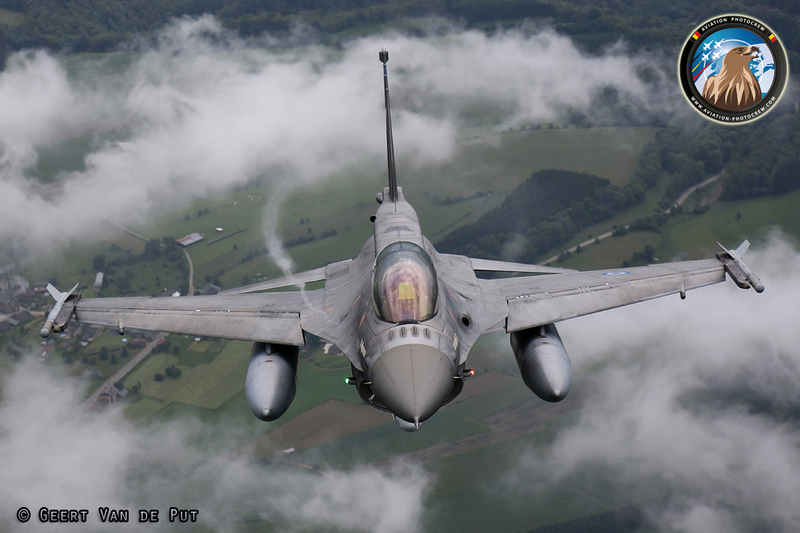 The weather was not ideal, but this made the photographs come out even more spectacular with the low clouds and the high humidity in the air. 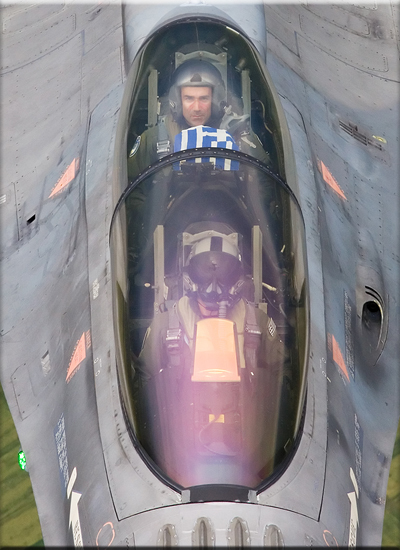 The pilots had a special surprise for the photographers, proudly showing the Greek flag in the cockpit, thanks guys!